Welcome to Cat of the Week! This week we have our first family cat, Henry! Henry lives with Rina's sister, Ariel, and sometimes hangs out at their parents' house with other family cat, George. Ariel adopted Henry from the Capital Area Humane Society in East Lansing, Michigan - check them out! 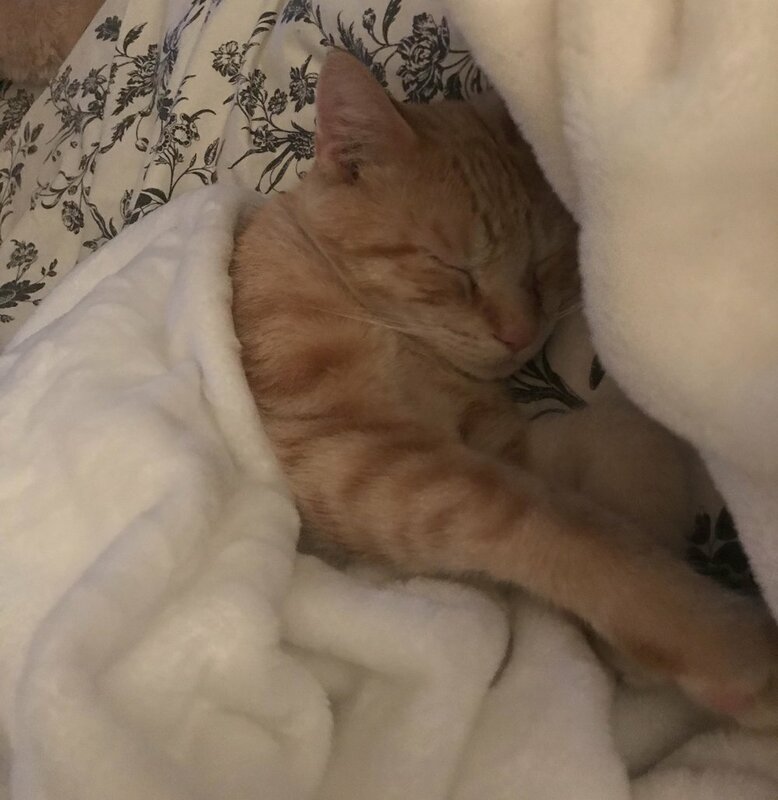 "I got Henry at the Humane Society when he was six months old, and now he's ten months! 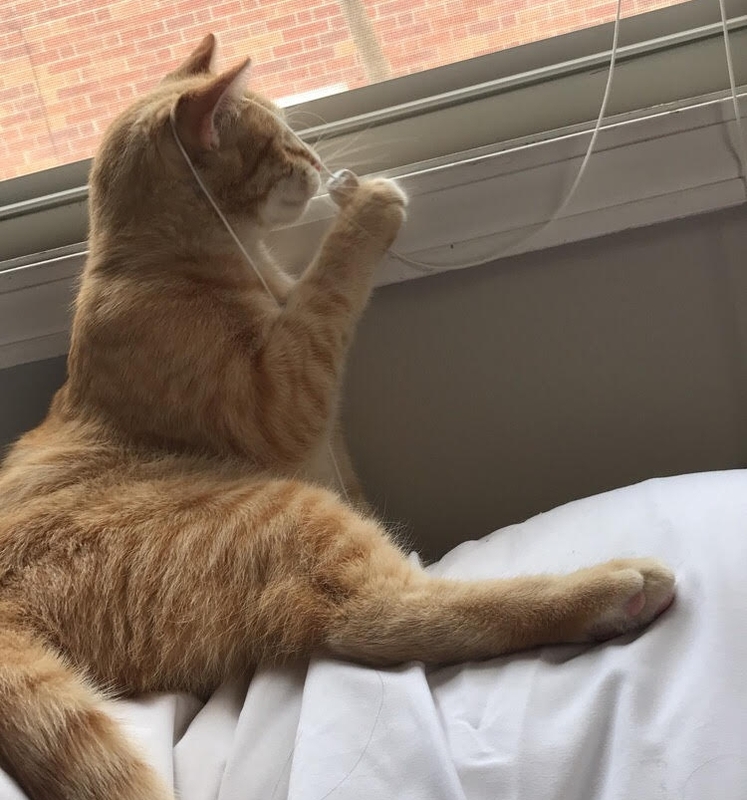 He has lots of energy, especially at night, and loves to play with and climb the curtains. His favorite toy is a bird that chirps but he also loves biting people's toes. He loves staring out of the window and chasing the squirrels he sees outsides, so he is basically a dog." Thanks for stopping by, Henry!